You need a locksmith. Who should you call? Choosing a local locksmith in Naples, Florida simply makes sense. It provides you with an ability to get the service and support you need right away. And, you gain the knowledge of knowing you are working with a trusted member of the community. 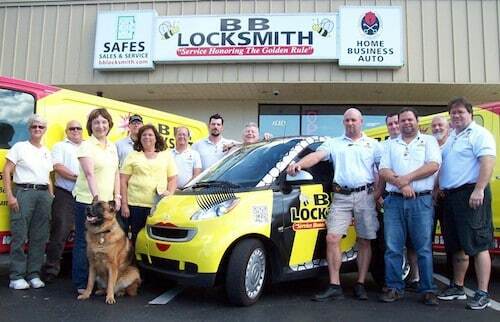 At BB Locksmith, we aim to provide you with comprehensive care and attention to your needs. We’re here for you. We offer two locations you can walk into and speak to us at. And, we offer mobile locksmith services throughout Naples, Florida. Why not work with us now? You have options when it comes to who you hire for the work you need completed. That’s essential. Take a closer look at why we believe a local locksmith is the right way to go for all residential and commercial locksmith services. When you have a problem with a lock, you do not have time to wait for an appointment. You need fast, reliable service. It can be essential to know that having a local locksmith available to you can help you even right away. They should have a mobile service that comes to you, to help meet each one of your goals quickly. The best locksmiths are not just there to profit. They care about the community and the people in it. At BB Locksmith, we take pride in our relationships with other businesses in the community and the work we do to help support those that live here. We encourage you to seek out other businesses that do the same thing. When you use local services, some of the money you spend goes right back into helping your community. Because BB Locksmith is a local company, we pay sales tax that helps to support all of the wonderful amenities here in Naples. Perhaps one of the most important things to look for when hiring a locksmith is their experience and professionalism. You need a real locksmith, one that has been in the business and has ample training. You need to know that they can help you with any goal you need because they have that knowledge. They know what you need and how to make it possible. Trusting a family owned business is critical. It gives you the ability to help support a small business owner and it allows you to know that the company you are working with has high morals. We’re here to help you and welcome you into our family as well. Each one of our technicians is pre-screened for your safety. Every person on our team receives proper training. This helps to give you peace of mind knowing that the work we do for you is always going to be exceptional. Take a look at any company’s reputation online. You need to know that other customers with the same problems and needs as yourself have had success. If you cannot find a reputation for a company, that’s something to worry about. BB Locksmith is available to meet your needs right away. If you need a locksmith in Naples, give our professionals a call. We have two locations to serve your needs – and welcome your visit – as well as a full mobile service.